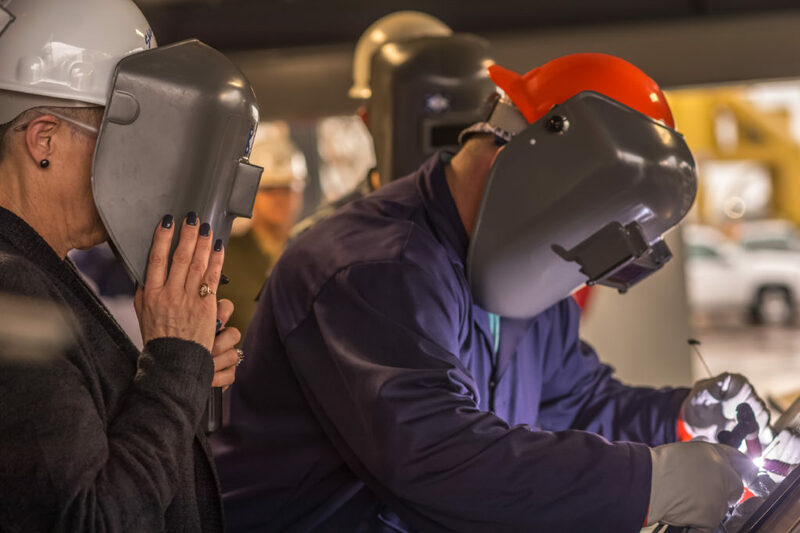 Huntington Ingalls Industries’ (HII) Ingalls Shipbuilding division authenticated the keel of the guided missile destroyer USS Frank E. Petersen Jr. (DDG-121) on February 21, 2017. 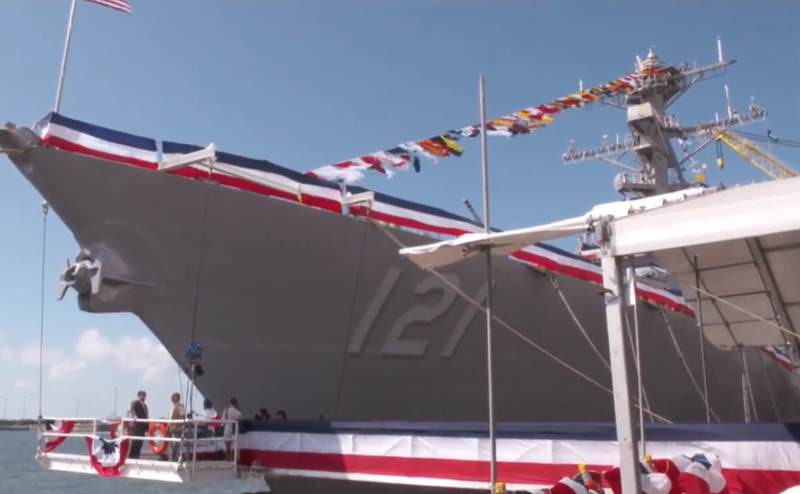 The ship, named in honor of the U.S. Marine Corps’ first African-American general, will be the 33rd Arleigh Burke-class (DDG-51) destroyer Ingalls has built for the U.S. Navy. 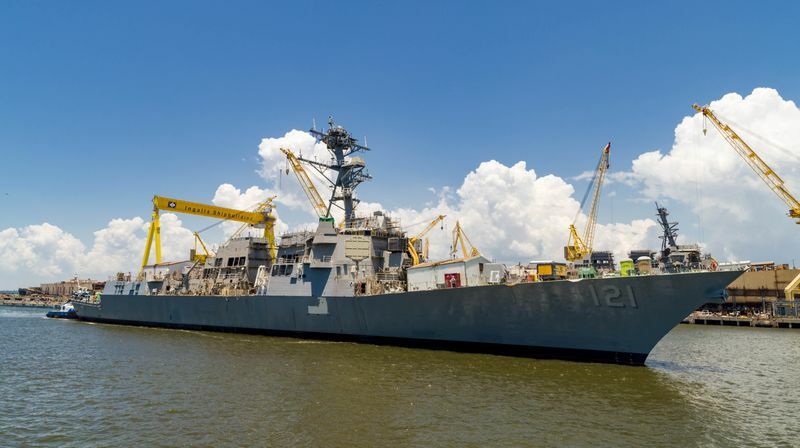 «DDGs are traditionally named after great men and women in the history of our Navy, and the namesake of DDG-121 is a true trailblazer and an American hero», Ingalls Shipbuilding President Brian Cuccias said at a shipyard ceremony. 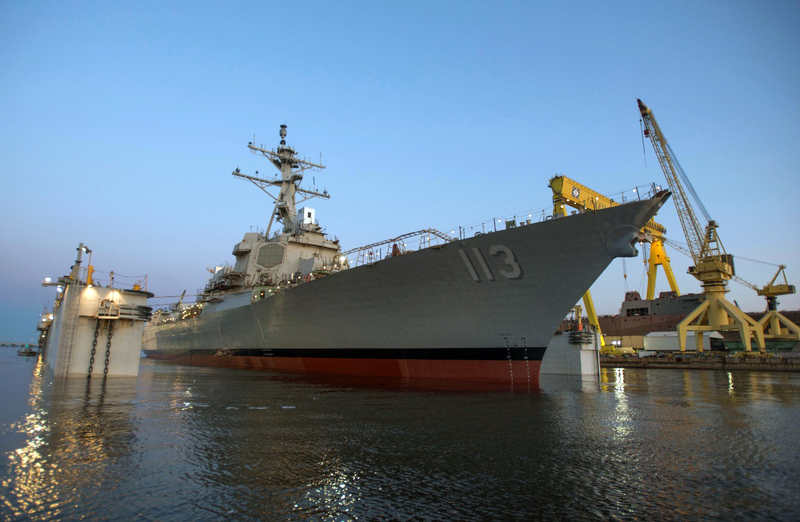 «Like her namesake, DDG-121 will be strong and capable. She can be no other way, because our men and women in the Navy – and General Petersen’s legacy – deserve nothing less». D’Arcy Neller, the wife of Marine Corps Commandant General Robert Neller, is the ship’s sponsor. 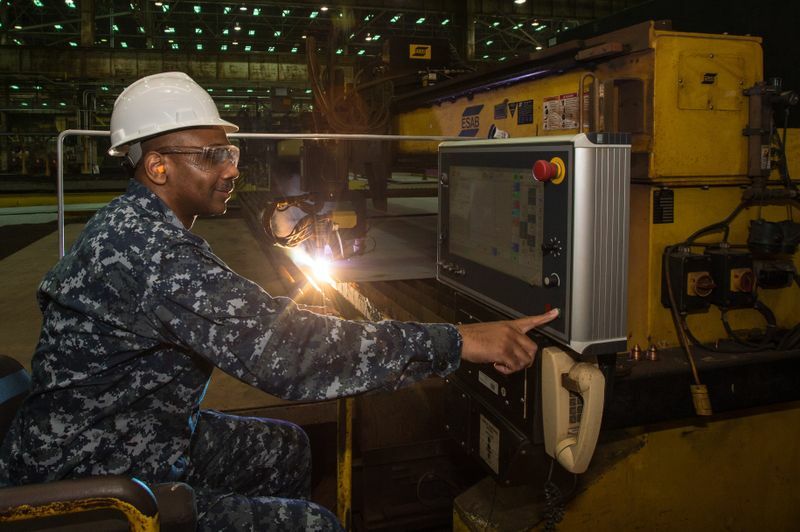 Jeremy Lally, a structural welder at Ingalls Shipbuilding division, welded her initials onto a steel plate, signifying the keel of DDG-121 to be «truly and fairly laid». The plate will remain affixed to the ship throughout the ship’s lifetime. «I appreciate the opportunity to be here with you today and the effort that goes on in this shipyard», General Neller said. «We’re being contested everywhere in the world right now, especially on the sea. We need ships like this one, and we need them to go fast and in harm’s way, every day. 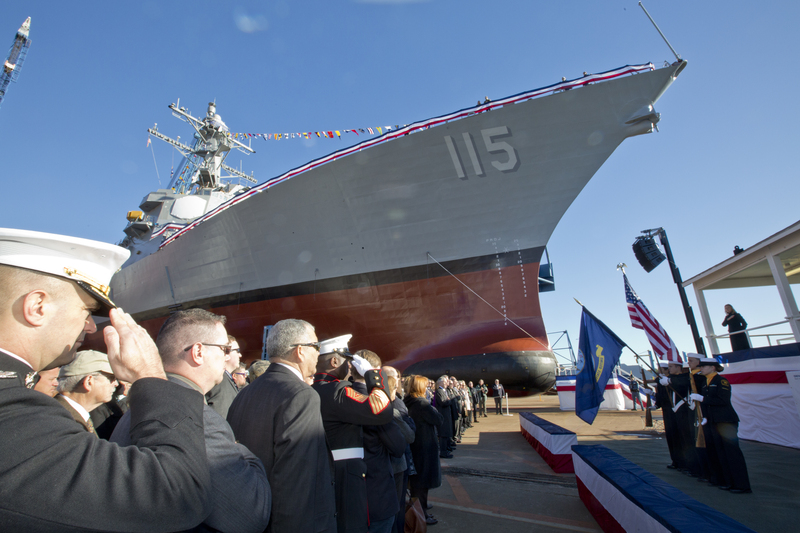 So, I know Ingalls will put great care, talent and skill into building this ship, and I appreciate your effort». The guided missile destroyer honors Frank Emmanuel Petersen Jr., who was the Marine Corps’ first African-American aviator and general officer. After entering the Naval Aviation Cadet Program in 1950, Petersen would go on to fly more than 350 combat missions throughout the Korean and Vietnam wars. 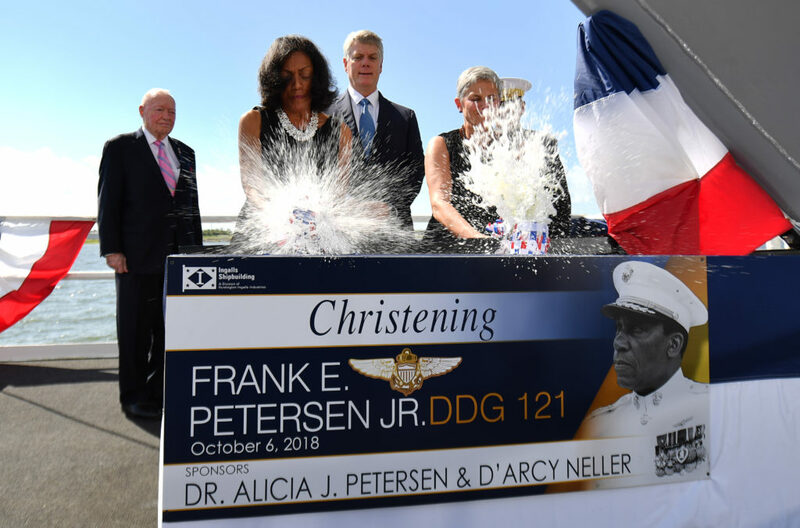 «This is such an honor for General Petersen and our family, particularly with this month being Black History Month», said Doctor Alicia Petersen, widow of General Petersen. «He wasn’t a man who wanted a lot of praise or recognition; however, if he could see this great ship being built for other young men and young women to see and look up to, he would be very proud». 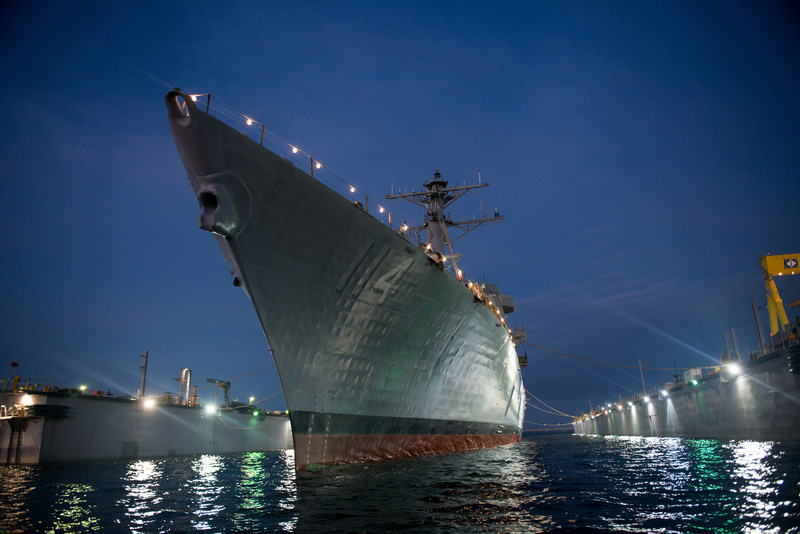 Arleigh Burke-class destroyers are highly capable, multi-mission ships that can conduct a variety of operations, from peacetime presence and crisis management to sea control and power projection, all in support of the United States’ military strategy. They are capable of simultaneously fighting air, surface and subsurface battles. The ships contain myriad offensive and defensive weapons designed to support maritime defense needs well into the 21st century.